Results from PwC’s 19th Annual Global Survey of more than 1,400 CEOs, which includes responses from 101 CEOs in the insurance sector in 43 countries, reveal more than 70% of insurance CEOs are making significant changes to the way they use technology to assess and meet customer expectations. 79% cite data and analytics and 76% cite relationship management systems as providing the greatest potential contribution to improving engagement with customers. According to PwC, a new generation of analytics is enabling insurers to anticipate what will happen (predictive analytics) and also to shape outcomes such as reduced accident rates or improved health and well-being (prescriptive analytics). This more proactive and preventative approach marks a change in purpose for insurers, which will deliver considerable social as well as financial value. However, technology is also creating new benchmarks for customer experience, response and cost and making it easier for customers to judge and compare insurers against their competitors. For insurance firms, the ability to meet these challenges is often hampered by slow and unwieldy legacy systems and traditional ways of working. In fact, nearly 70% of insurance CEOs see the speed of technological change as a threat to growth and more than 60% are concerned about shifts in consumer spending and behaviour. Many of these new competitive benchmarks are being set by FinTech entrants, which are constantly probing for gaps and weak points in the marketplace, applying digital insights to sharpen customer understanding, and utilizing cost-efficient digital distribution to undercut incumbent competitors. Even bigger changes lie ahead as technology creates new sources of collaboration and revenue. For example, data from car and equipment sensors can be shared with manufacturers and repairers and thereby pave the way for new joint ventures in design and maintenance. According to PwC, possible revenue models could increasingly gravitate from premiums to premiums plus subscriptions. Some insurers may reinvent themselves altogether – from protecting against risk to managing and monetising information, for example. “Technology and innovation will be critical in delivering the outcomes stakeholders want at a cost customers and investors are willing to pay. The insurers developing pre-emptive protection against cyberattacks, annual premiums of which PwC estimates could reach $7.5 billion by the end of the decade, or safer road usage through sensor-based pay-as-you-drive insurance, show that it is possible to deliver more for less. 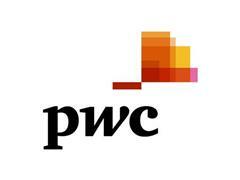 PwC’s survey shows economic headwinds are strengthening once again. Compared to 40% in 2015, only 28% of insurance CEOs now believe the global economy will improve over the coming year, reflecting a dip in optimism. Interestingly, whilst 38% of insurance CEOs are very confident about their ability to increase revenues, this is down from 44% in 2015. Accordingly, 70% of insurers are planning to implement a cost cutting initiative over the next 12 months and technology is the trend insurance CEOs see as most likely to transform customer expectations over the next five years. PwC’s O’Hearn notes cost cutting by itself cannot ensure a boost in returns over the long-term and points out that savvy companies are opting for sustainable process improvement initiatives which increase efficiencies and improve productivity. For example, artificial intelligence and robo-advisers (automated investment advice platforms) can significantly cut costs by automating routine transactions and research, which can also allow agents and brokers to spend more time developing customised solutions and focus on more complex and higher value accounts. “The agenda is real business transformation, doing things differently as opposed to simply the same with less people. An increased use of shared service centres, off-shoring to lower cost locations and out-sourcing are all prevalent trends throughout the industry.